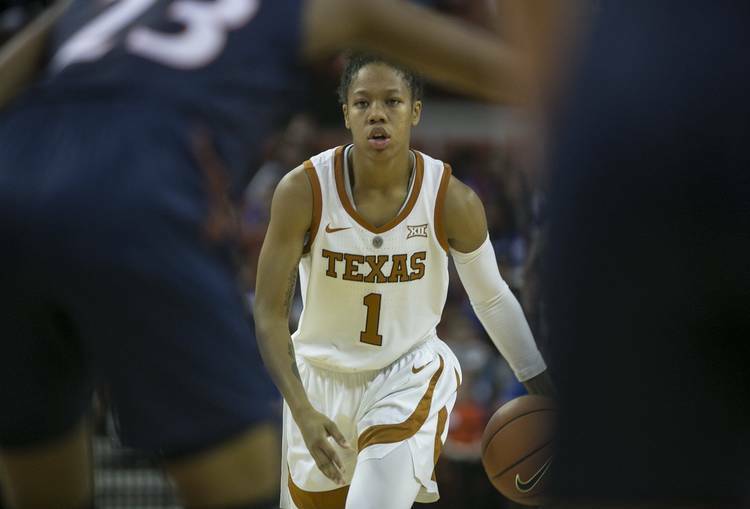 Reserve guard Moon Ursin scored 19 points and top-ranked Baylor held off a furious Texas rally to earn a 74-68 victory Monday night at the Erwin Center. Baylor, which led by as many as 21 points in the second half, saw its lead dwindle to 70-66 with 35.7 seconds to play. Chloe Jackson and Ursin hit free throws down the stretch to preserve the victory. Baylor improved its record to 20-1, 10-0 in the Big 12 Conference. Texas dropped to 18-5, 8-3. No player was more spectacular than Texas transfer Danni Wiilliams, who scored eight points in a 40-second sequence late in the game. She led the team with 19 points. This marked Baylor’s 19th victory over Texas in the last 20 games. The last UT win was an 85-79 decision in 2017 in Waco. Sug Sutton kept Texas in the game early, scoring a team-high 13 points in the first half. Baylor, which trailed by as many as five points early, took a 36-29 lead at halftime. The most surprising part of the half? Baylor All-America candidate, the 6-7 senior post who had a distinct size advantage over the Horns, did not take a shot in the half. She was limited to a pair of free throws with 30 seconds left in the half. Looking ahead: In this week’s ESPN Bracketology report, Texas is listed as a No. 7 seed in the Raleigh, N.C. regional in the NCAA tournament. The Horns would play Purdue in the first round and, if they win, the winner of the North Carolina State-Virginia Commonwealth game in the second round. LOOK: In 2019, will Texas look better than TCU and Texas A&M on both the runway and scoreboard?